Quora is an online platform where any one can ask questions and can connect with people who can contribute unique insights and quality answers, hence in short a platform to share and gain knowledge about any subject. 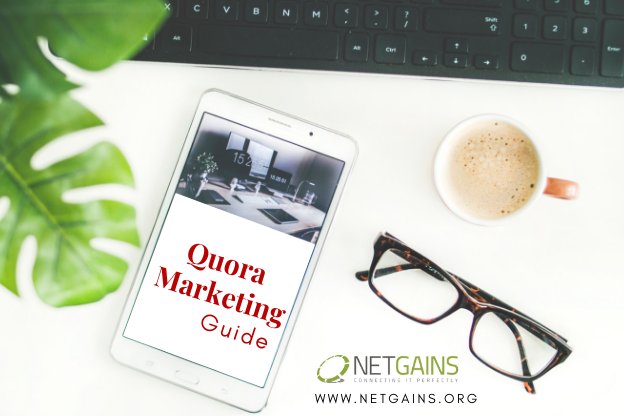 If you want to build up a unique knowledge base in your specific industry or generate traffic for your website then Quora Marketing is a great way to start publishing all possible Questions and Answers for the users to read and gain knowledge and thus attract them on to your website. This Q & A network allows you to help users trying to find a correct and meaningful information on any specific topic. So you must be thinking… WHY QUORA and What are the benefits of Marketing on Quora? With quora you get exposure from millions of monthly visitors thus increasing your website’s or your brand’s online reputation. You can directly answer to anyone asking about your business, products or services. You can share the content from your website and can generate traffic by simply linking the content to your website. Don’t hesitate to include links in your profile to your social media accounts or your website because this will help lead to traffic back to your website from quora. The next thing you have to do is finding & following topics related to your industry. Quora will give you suggestions based on what you searched. And finally you have to simply do is Question & Answer. While answering some of the existing questions posted about your business, You can tag other questions, topic and quora users in your answer by simply using “@” symbol or relevant links. But make sure it should not look spammy. To help you or your business on Quora Marketing Service, Get in touch with our expert Digital Marketing Team.